Sustainalytics, a global leader in ESG and corporate governance research, ratings and analytics, today announced it has acquired GES International, a leading global provider of engagement, screening and fiduciary voting services to institutional investors. With the two firms uniting, pension funds and asset managers now have access to a full suite of trusted, high-quality pre- and post-investment products and services. The acquisition combines Sustainalytics’ market leading ESG research and ratings with GES’ extensive engagement and screening services. Over the past few years, ESG investing has gained significant momentum and become more sophisticated. Engagement on ESG issues has also increased steadily worldwide and become a more critical part of the investment value chain. 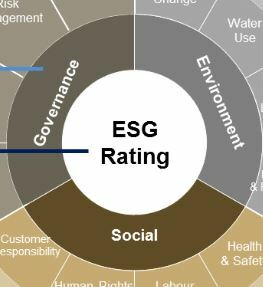 GES’ in-depth engagement services complement Sustainalytics’ materiality-focused ESG research and ratings. The powerful combination of these best-in-class products and services offer institutional investors meaningful support both during the investment decision-making process and after they have invested in a company. Founded by Magnus Furugård and headquartered in Stockholm, GES has over 25 years of experience as a highly respected owner advocate. With offices also in Zurich, Copenhagen, London and Zielona Gora, the firm has developed deep expertise in the areas of norms-based screening, global standards engagement, stewardship and fiduciary voting services. Following the integration, Sustainalytics’ will grow to 17 offices worldwide, with more than 500 team members, 200 of which are devoted to research and 20 to engagement services. Almost all of the roughly 65 GES employees, including the entire senior management team, will join Sustainalytics. The transaction was completed on January 2, 2019. Transaction details are not being disclosed.